What Was The First Cooperative Play Console Game? Which Game Console's Cartridges Featured In-cartridge Co-processors? For most video game fans, their earliest memories of co-operative play revolve around classic side-scrolling co-op games like Contra and hack ‘n slash dungeon crawlers like Gauntlet. Long before these notable greats in the history of co-op gaming, however, there were cooperative modes hidden away in even earlier console games. 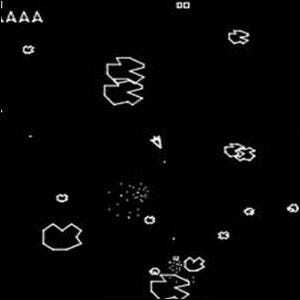 The first video game to include a two-player cooperative mode was Asteroids. The 1979 Atari-based console release of the game included a version where each player, using their own paddle, could control a ship and assist in blasting the continuous onslaught of asteroids. While gamers enjoyed a variety of Arcade-based cooperative games throughout the early 1980s, it wasn’t until the late 1980s that cooperative games enjoyed a strong showing on consoles. Notable games from this golden era of cooperative gaming include: Legendary Wings (1988/NES), Contra (1988/NES), and Altered Beast (Sega/1989).